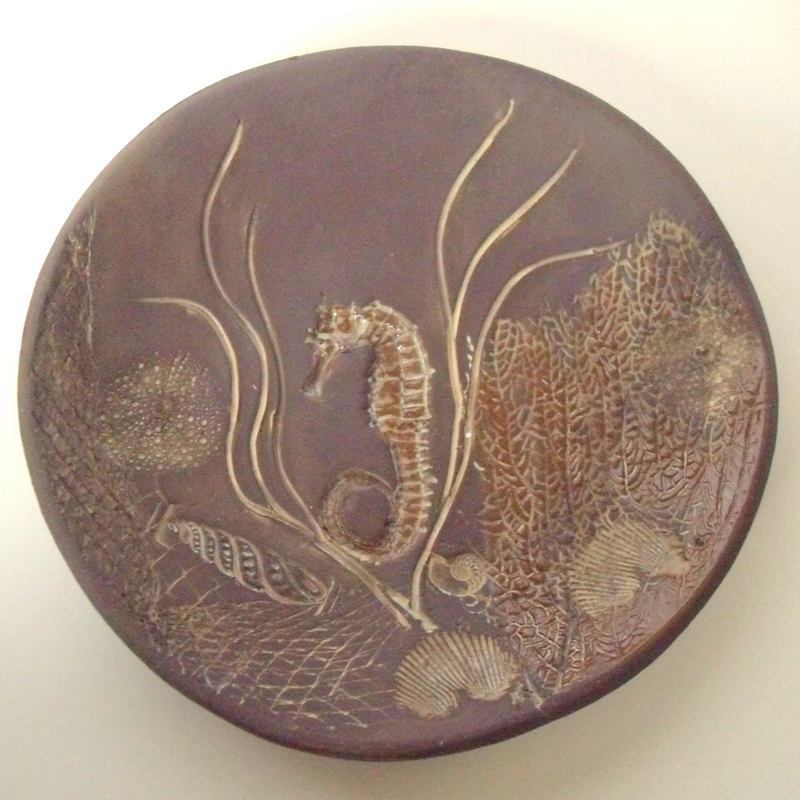 Chocolate stoneware dish with a seahorse impression, details of shells, seaweed and netting adorn this piece. I pressed the objects into the damp clay then formed the dish. 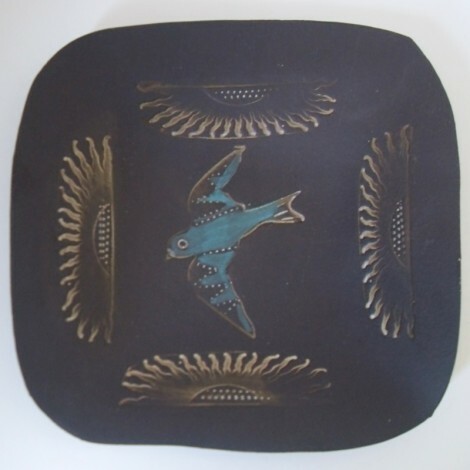 Different glazes were rubbed into the designs. Category: Dishes. Tags: Chocolate, Dishwasher Safe, Sea Horse.